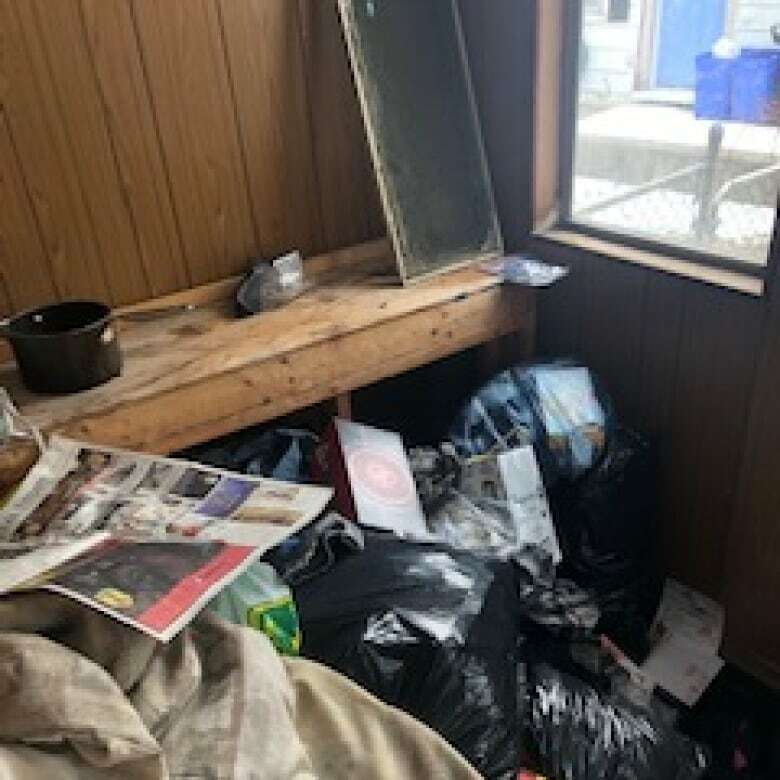 Four landlords in and around Kitchener-Waterloo say a couple has been using Ontario's tenant laws to scam them, not paying rent and then abandoning the property with garbage and damage. When Shane and Kelley Jacobs rented out their house in Stratford, Ont. in late September 2017, everything seemed standard. A couple came in, signed a lease, provided three references and handed them some cash, saying the remaining portion of first and last month's rent would arrive later. But by October, Shane Jacobs says, the "payments weren't coming in properly." "Every once in a while, they'd give me some cash," Jacobs said. "December , January , February , we never saw a nickel." The Jacobs applied to have their case heard by Ontario's Landlord and Tenant Board, a procedure they said dragged on because their tenants missed two out of the three meetings. In April 2018, the board ruled the tenants must pay Jacobs $7,841.84 by the end of that month or be evicted. Jacobs said he did not receive any money from them. And since then, he's found out they declared bankruptcy in August, 2018. 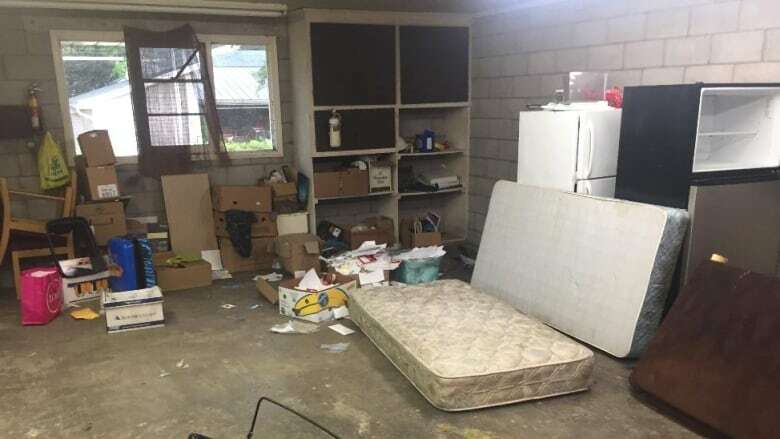 "Nobody is going to see any money out of this deal by the sounds of things," Jacobs said, adding they left his house with garbage and $15,000 worth of damage when they moved out. "They moved in and trashed the place," Jacobs said. "It was just a nightmare." Three other landlords who had the same tenants said the same "scam" happened to them. Krystal Dewey said the couple lived at her place on Sandra Avenue in Kitchener from April to August in 2018. She said they "had all their paperwork in order" and "wanted to occupy it right away," so they signed a lease and wrote her a personal cheque. "That was our mistake because that cheque bounced," Dewey said. "They didn't pay us much after that." Dewey said they gave her "a lot of excuses" for not paying rent and were "threatening and rude." At one point, she said she offered them money to leave and to waive first and last month's rent, but they rejected the offer. In July, Dewey signed a mediation contract with them, with the LTB ruling they must pay her $3,855.50 out of the $6,355 they owe. They moved out leaving "drug paraphernalia, mountains of garbage and rotten food which created a pest problem," she said. The couple then moved into Benny Afrouzi's place on Karen Walk in Waterloo, which was listed on Kijiji. Afrouzi said the cheque they provided for first and last month's rent also bounced and they gave him the "runaround" when he told them he's going to start the eviction process. "He start telling me, 'oh it's not easy to evict me, I know all the laws'... so basically spell out every step that the landlord needs to go through to evict a person from property," Afrouzi said. "Then it kind of clued in that this guy is a professional tenant and he has no plan to pay us," said Afrouzi. In October, the board ordered the same couple to pay Afrouzi $9,250 by Nov. 9, but like the others, Afrouzi said he still hasn't received any payment. He said they also left "an absolute mess" in his home, with a hole in the wall and a few broken doors. The couple now resides at a house on Glen Forrest Boulevard in Waterloo. They moved in at the start of November. Property manager Dharminder Bhatti said he's facing the same problems. "We didn't get any money from them, no text messages or phone calls, nothing at all," he said. "My client works at Staples [for] $16/$17 per hour and his wife works at Tim Horton's," said Bhatti. "They put their lifetime savings at this house and now they're stuck with these people. Now we have to go through the Landlord and Tenant board, it's a process." CBC News has learned the Ontario Landlord and Tenant Board ruled Michael Shawn Saunders and Sherry Lynn Saunders owe the Jacobs $7,841.84, Dewey $3,855.50 and Afrouzi $9,250. That's a total of $20,294.34, not including compensation for the damages left behind. "It definitely financially impacted us," said Kelley Jacobs. "It made us very not trusting when interviewing other tenants, it left us raw and angry." CBC News tried to contact Michael and Sherry Saunders but message requests were not answered and a telephone number provided by the landlords now appears to belong to someone else. Andrew Macallum, president of the Waterloo Regional Management Association, says part of the problem of dealing with bad tenants is the length of time it takes to get a hearing through the board. "Until a landlord actually serves a notice of non-payment of rent, the clock doesn't even start ticking. Then when [that notice] has been given, that 14-day window occurs," he said. The landlord then must apply for a hearing through the LTB if the tenant continues to not pay rent. "Due to the shortage of adjudicators that exists within the LTB, it can take weeks if not months before a hearing can occur," he said. In a email statement to CBC, the Landlord and Tenant Board said "the timelines and rules which the LTB adjudicates are set out in the Residential Tenancies Act. That piece of legislation is the responsibility of the Ministry of Municipal Affairs and Housing." However, the Ministry of Municipal Affairs and Housing says "it is inappropriate for the minister or government officials to interfere in or comment on the board's process." "The government is aware of issues that both landlords and tenants are facing with the Landlord and Tenant Board," the ministry said in an email. "We are aware that the Ministry of Attorney General is working to deal with the shortage of adjudicators so that the Landlord and Tenant Board operates with expediency," the statement reads. The Ministry of Attorney General told CBC it "cannot comment on tribunal processes or decisions." To protect themselves, Macallum says landlords should issue a "notice for non payment" also known as the N4 form immediately once rent isn't being provided. April Stewart, a paralegal who specializes in problem tenancies and has been in the business for 20 years, agrees and adds it's best that landlords know the rules. She said landlords should also treat the LTB hearings as a formal process, "just like a court" and know that the "rules of evidence apply." 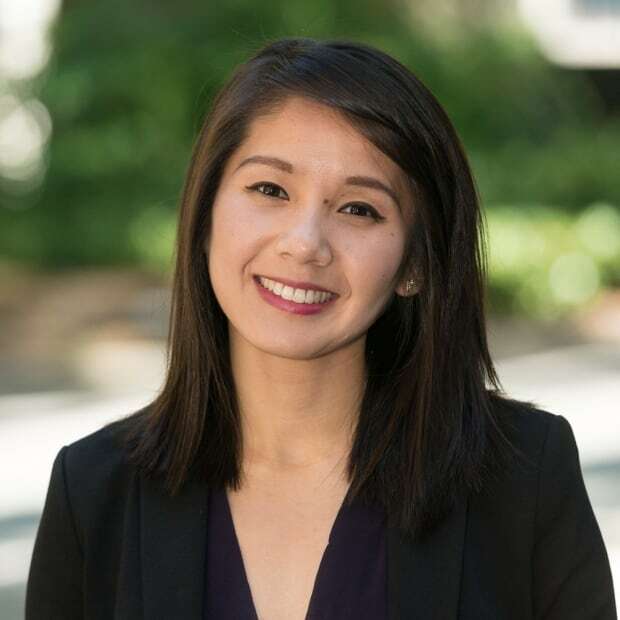 "A landlord, often when they're small and inexperienced, will accept some excuses from their tenants at first to be accommodating," Stewart said. "But unfortunately if they're being scammed by somebody who knows how to work the system, that's the way it always starts."